One room in the home that shows age the most is the kitchen. Between appliances, cabinetry and countertops, it’s easy to tell whether a kitchen is dated or is up to par on interior design trends. Many times, our cooking and eating space is also where we entertain guests. In fact, it’s said to be the most used room in the house. 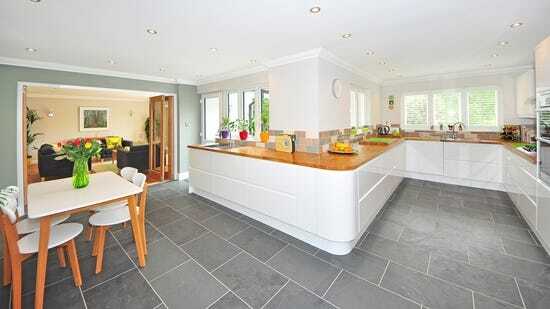 The kitchen can also be a determining factor of how easy your home is going to sell. So, which kitchen design trend should you take on in your home to keep the space cool and trendy, yet up to date? Let’s find out! Here are the coolest kitchen design trends of 2018! Sleek, flat cabinet fronts are great for modern, minimalist homes. These simple panel doors do away with traditional cathedral or shaker-style cabinetry that are seen in kitchens regularly, and instead allow you to incorporate texture elsewhere, such as in the floors or detailed lighting. Another option for cabinetry is not having any at all. Well, at least top cabinets. We’ve talked about how much we love open shelving before as a DIY hack for your kitchen cabinets. 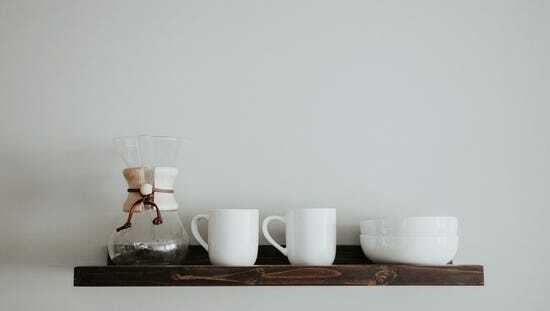 Floating shelves are ideal because they provide space for your plates, glassware, and fun décor while giving an informal, open feel to the kitchen. 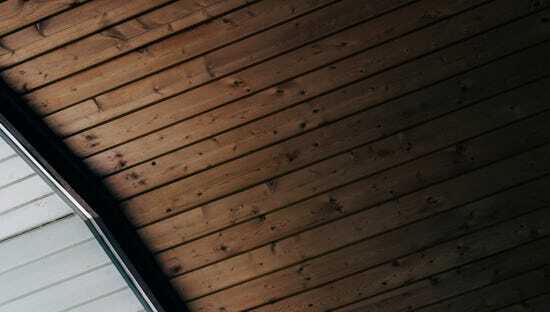 Depending on the look of the shelf, such as a pure wood or vinyl finish, you can achieve a farmhouse look or a modern-chic design in your home. 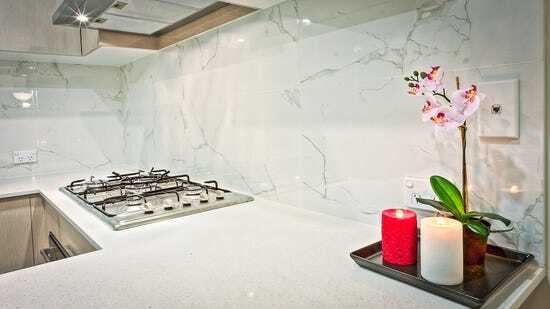 Spiking in popularity recently, marble can be incorporated in the kitchen in countless ways. 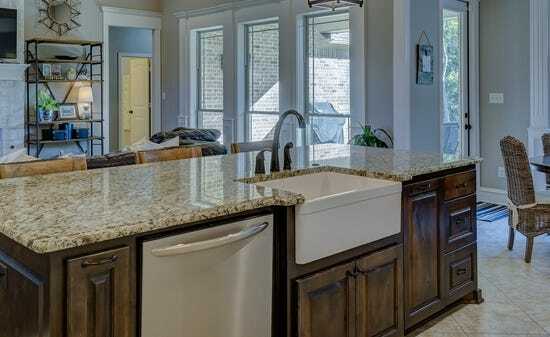 It can be used to replace dated laminate counter tops or tailored to be a kitchen’s backsplash. Make the face of your kitchen island stand out with marble or incorporate it into the floor itself. This may not be the cheapest material to renovate a kitchen with, but it’s surely worth it. Marble is clean, timeless and holds up against tough, consistent use. Plus, it’s available in various colors! It’s no wonder why it's hot this year. Who doesn’t love large, deep sinks that are useful in washing dishes and making a statement? Farmhouse sinks are a kitchen essential coded with charm and southern style. While this may have been so last year, it’s also so 2018. Not a big fan of colorful walls? That's okay, because sprucing up your ceiling is the new thing! Painted ceilings offer a pop of color to what isn't typically the focal point of a room. It’s a “hidden” part of the kitchen that many people don’t normally pay attention to. With a light, pastel color, this trend can brighten up a space, though it also can provide a warm sense of comfort with the use of a darker shade. Another unique incorporation is wood paneling! Home design trends are always changing, especially when it comes to kitchens. However, that only means there’s that many more options when creating your dream kitchen. Whether it’s swapping out your sink or upgrading the cabinets, any update is a cool design. Though, we’re curious - which is your favorite trend of the year out of the handful above? While these are solely the trends that stand out to us, there are many more out there!